Ask anyone, and they’ll tell you that hearing the words “thank you” or even the more casual version of “thanks” can lift up just about any spirit suffering from varying levels of dissatisfaction. Showing gratitude, no matter how simple, is a social convention that society cannot do without–especially when it comes to the more formal occasions. 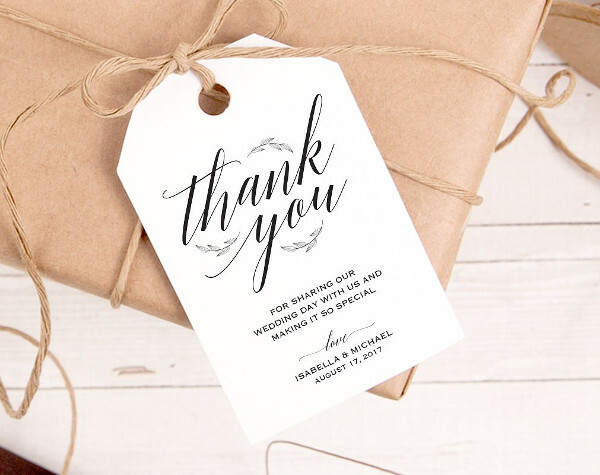 After a party or an event, it is always good practice and great manners to send thank you notes to all your guests for giving you their time and energy in attending your event. Tell them how you appreciate it with these Free Tags. Although nobody is questioning that this day, among all the other days of the year, is your day, you should remember that people are actually going out of their way to be with you. Give them a little “thanks” for their effort and love. Bridal showers are specifically a party for giving gifts to the future bride. 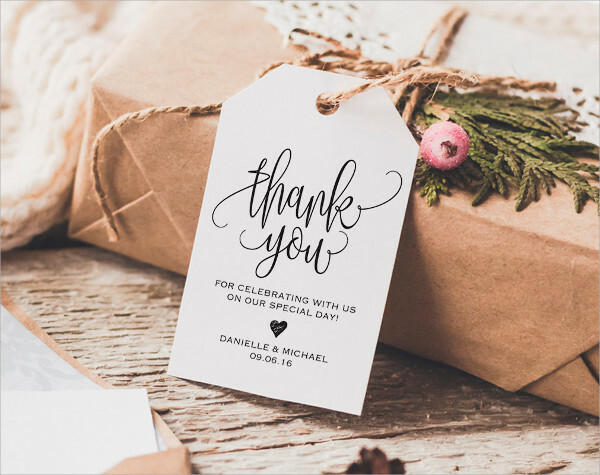 Don’t forget that your guests spent time buying you those gifts, wrapping them up nicely, and maybe even creating that personalized Gift Tag Design. 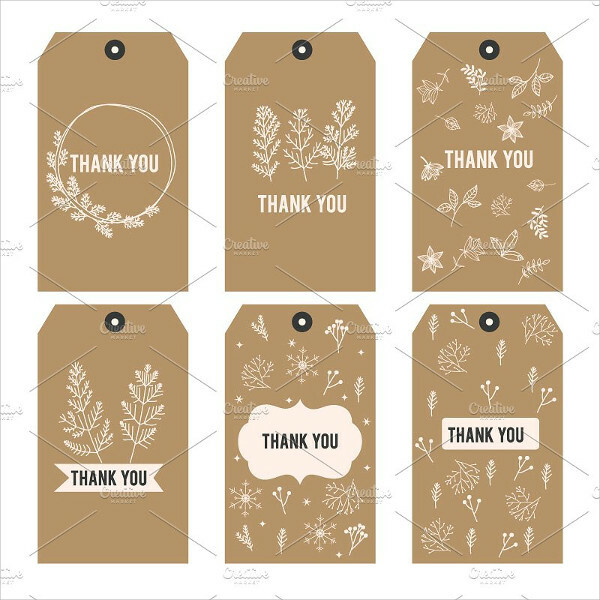 Show them how much you appreciate their presence and presents with one of our Thank You tags. The Big Day. The day that some women have been dreaming of since they were 12. It is that time for you and your special someone to tie the knot that binds you (hopefully) till death do you part. However, even if you are celebrating the love you have for your partner, don’t forget to spread that love by showing some gratitude to all those who witnessed what might just be the most important day of your life. In order to prepare that new addition to your family for life outside the womb, expect your friends to shower it with gifts. 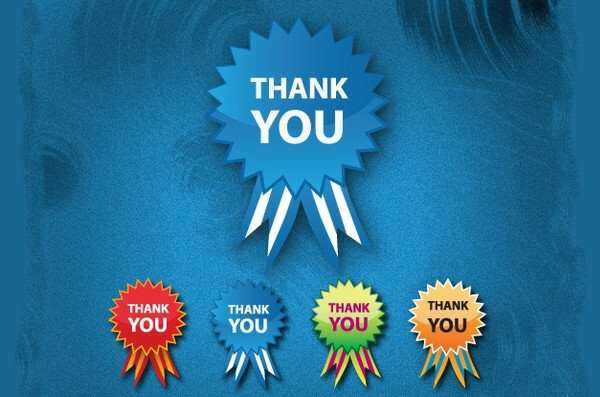 Stick Thank You tags on your give aways to show your gratitude for their support. We have a lot of different designs for you to choose from. 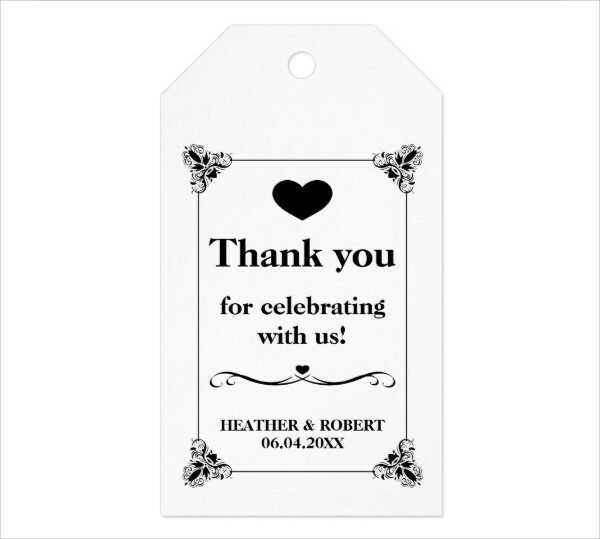 Take it from our “Printable Thank You Tag” and our “Black and White Thank You Tag”, you won’t go wrong with simple designs. Minimalism isn’t the in thing right now for no reason. Ever heard of the term “old but gold”? Don’t be fooled by its dated appearance. Vintage is back and brings a whole new dimension to elegance and style. Apply beige and cream colors with rough gritty paper textures to get that classic feel. Floral designs are a great staple for bridal showers and weddings. 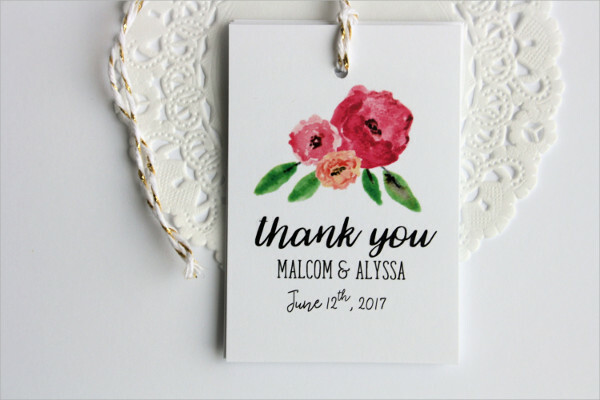 Slap on some watercolored roses and fonts dominated by swirls and flourishes on a white background, and you’ve got an elegant thank you card design ready for your big day. 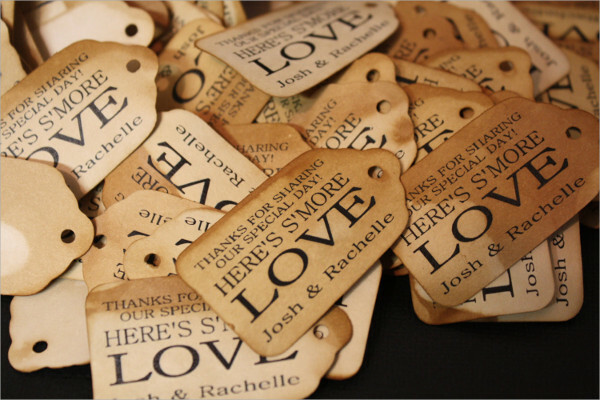 Also, don’t miss out on our Printable Gift Tags.